Mom here. Guess what we got? 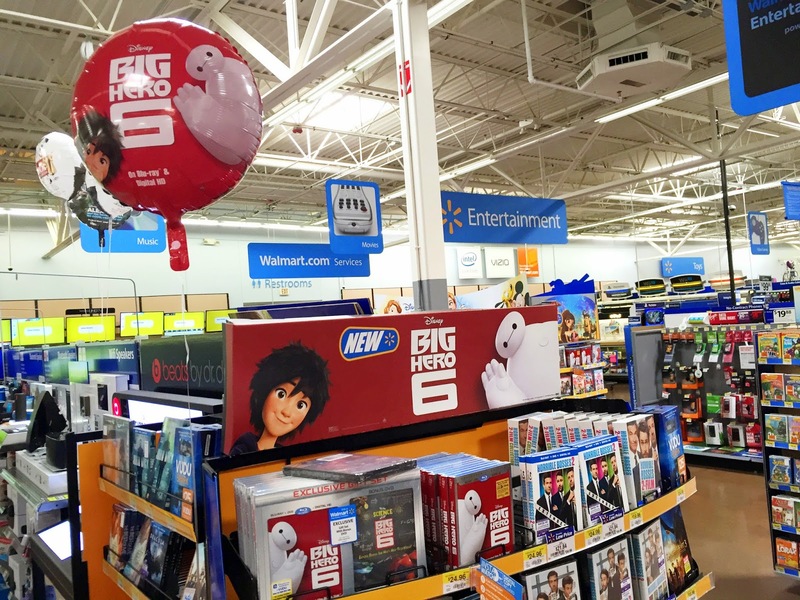 You all know we don't hesitate to throw a party for Duchess and Captain, so when we were given the opportunity to pick up the Big Hero 6 Blu-Ray combo pack, we jumped on it. When it was in theaters, John took Duchess to see this one without me and I have been dying to see it ever since. So I headed down to Walmart and picked up the Blu-Ray, along with a Baymax figurine for our Disney Infinity. I also came up with a little craft to get Duchess and Captain excited to sit still for an hour and a half so I could finally see this movie myself. 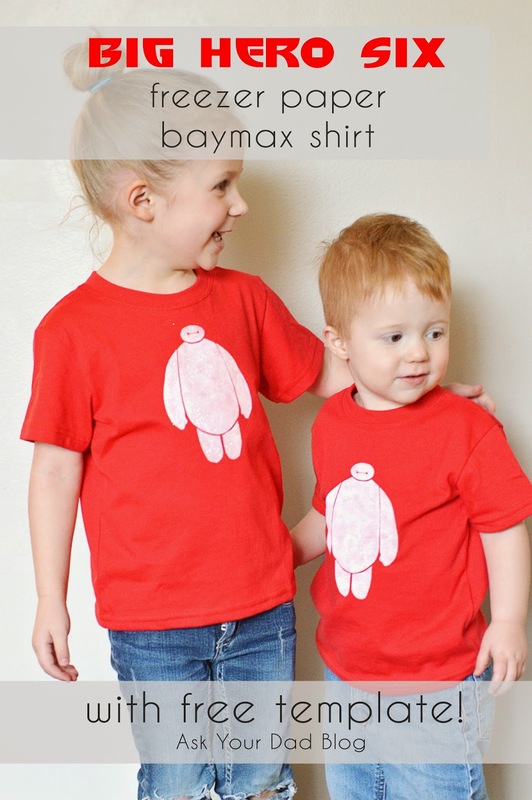 So I took some time during their nap and whipped up some Baymax shirts. And now I'm going to show you how to make your own! I picked up all my supplies at Walmart while I was grabbing our movie (and massive amounts of popcorn). First thing you need to do is download the PDF at the bottom of this post. Print this off on regular printer paper at 100% size. This will give you a template of roughly 4in x 6in for your shirt. Cut off a piece of your freezer paper, place it over your printed sheet and trace your Baymax onto the NOT shiny side of the freezer paper. 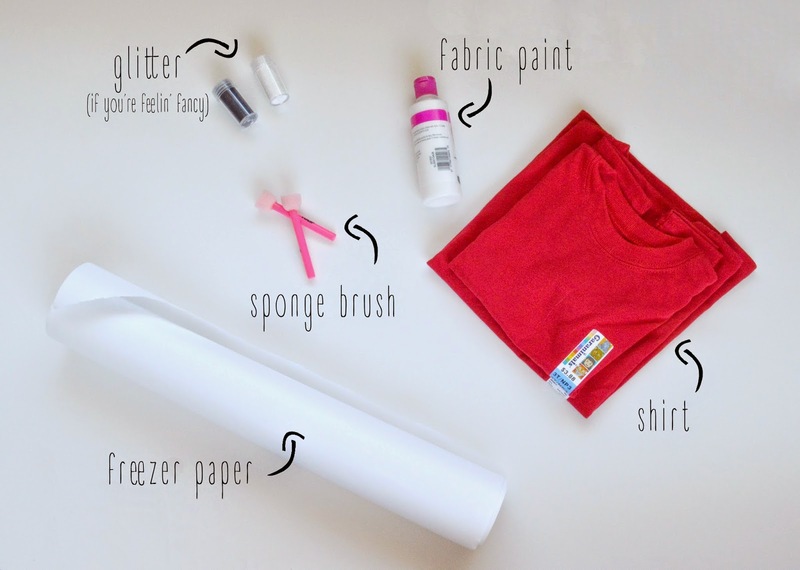 Take your cutout and place it centered on your shirt. Or off-centered. I'm not gonna tell you how to live your life. But make sure that you place it shiny side down, that's the part that's going to stick to your shirt. Don't forget to grab the eyes you cut out (told you you'd need those) and iron them on as well. Be sure to iron really well around the edges to get a really good stick on the freezer paper. 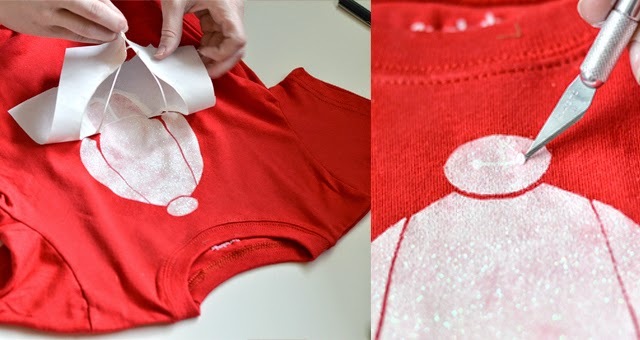 Oh and make sure you put something inside the shirt to prevent the paint from soaking through to the back. Like your kid's book order that you forgot to turn in. Now grab your paint. You can use any brush really but the pouncer brushes are best. I found when I've used regular sponge brushes, it tends to pull the freezer paper up a bit and causes more paint to bleed. And pouncers are fun. Pouncy pouncy. Some pro tips on your painting. Don't overload your brush. If you do, it tends to saturate the freezer paper and causes it to lift a little. And you don't want that. Do one or two light layers instead. I found that I actually liked it better with one layer and then one more time over to just get spots that I missed. It made it more painted-like, less failed-attempt-at-screen-print. Once you put on your final layer, grab your glitter (if you're feeling fabulous). 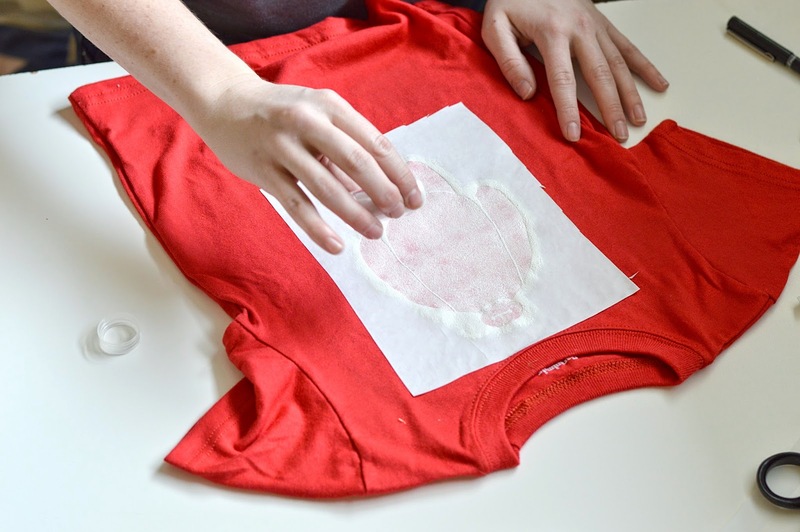 You want to put it on right after your last layer so it will stick to the wet paint and dry on. Then make it rain. Let it dry maybe 5 minutes or so, not too long. Then CAREFULLY pull off your template. Use your x-acto knife to pull off the eyes (that sounded gross). And that's it! Now you put it on the nearest kid and sit back and admire the cute. Duchess and Captain found these when they woke up from their nap and immediately ran into the bathroom to ask me if the shirts were for them (privacy is a foreign concept in our house). We already had plans to have their friends over and I couldn't just make shirts for my kids. That would be rude. And I had all this paint. So when their friends got over, we put on our shirts, made some pizzas, sugared them up with cupcakes and sat them down for Big Hero 6! As for the movie, I absolutely loved it. Disney hit a lot of notes with me on this one. And the kids got such a kick out of the simple humor of Baymax. And I just can't believe how beautifully animated it was. WOULD HAVE BEEN NICE TO SEE IT IN THEATERS, JOHN. What's nice is that when we purchased the Blu-Ray combo pack, it also includes the DVD version (so we can have it in the van) AND a digital version that we can load on the iPad. You can actually just scan your Walmart receipt with the Walmart Savings Catcher and you'll get a message to your phone or email letting you know that you can now watch it anywhere! So now that you're frantically looking for your keys to go pick your movie, tell us how you'll be celebrating with Hiro and Baymax! Click below for the PDF and Silhouette templates! That's talent! Nice work-not sure I've got the steady hand for that. Certainly not with kids jumping on my back every few minutes! This is awesome, I have to share this with the teachers at my school. Sadly I have not yet seen the movie though today I was standing in front of a RedBox trying to figure out how to rent it. I enjoyed the post and am interested in the previous post with an image of batman. My goodness your children are adorable.